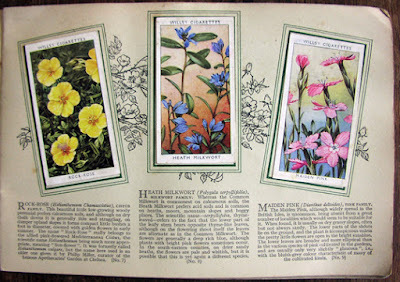 In a recent Patheos post, pagan author Yvonne Aburrow wrote about How to Become a Naturalist, offering some really excellent tips on how to get in touch with nature by learning to recognise flowers and other plants you might see out in the wild. She said: "I was lucky to be brought up by my mother, who pointed out lots of different flower species and taught me to identify flowers by their genus." This sent me on a trip down memory lane, because when I was young I also had relatives who tried very hard to teach me about plants and their folklore. I have to say I now wish I had concentrated harder on the lessons, but a few things did sink in and I still love spotting wild flowers while on country walks. I left a comment on Yvonne's Facebook page, where she shared her post, that when I was a child my mum had given me the I-Spy Wild Flowers book. Sadly I don't have that any more, but I did manage to find on Amazon the exact edition I owned. 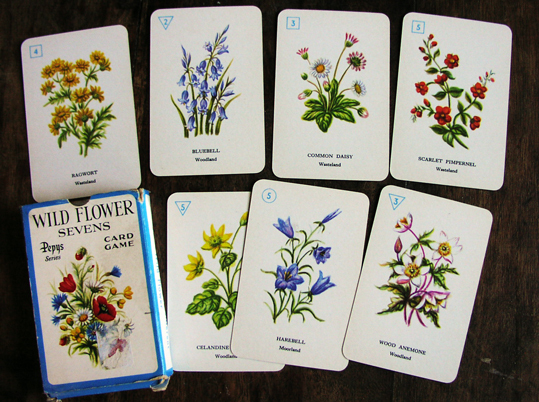 My mum also bought me the Pepys Wild Flowers Sevens card game to help me learn to recognise plants. I have to say I spent some time yesterday rummaging around in cupboards trying to find that - and in the end I did. You can see it photographed at the top of this post. 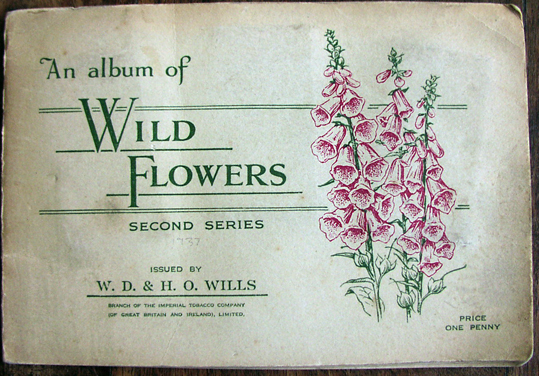 As a child I collected tea cards and the Wild Flowers set was one of my favourites. I deeply regret selling it when I was moving home and having to declutter as well as raise as much money as possible. But, a little while ago, I found a set of vintage Wild Flowers cigarette cards in a charity shop - not quite the same as my own personally collected set, but still lovely. You can see some pictures of them here.